It doesn’t matter if your wedding is small, intimate and romantic or big, energetic and fun – we are there to capture it as it is. As destination wedding photographer we want to create memories for you that will include all the small details of the day – the special place, the smell of the flowers, happy faces of your friends and family and most of all – you two and the love you share for each other. Making you feel excitement and love even 20 years from now, when you will open your wedding book again, is why we do this. We are destination wedding photographer based in Slovenia, Europe, but are available for travels where ever you want us. Love to explore the world and love adventures, so no place is too far & no mountain too high for us. We are spontaneous, relaxed and like to laugh. A lot! There are three things we can’t live without: coffee, good food and music. Katja and Simon are perfection and so are their photos! Having Katja and Simon photograph our wedding was absolutely the best decision we made about our wedding. The photos are perfect and powerful. They catch and embody the beauty of the location we selected and the people we love. Most of all they instantly take me back to one of the best days of our lives. Every person who sees our photos says, "your photographers are amazing!" We proudly respond with, "We know, right!" They have such a relaxed energy and are generous with their time and their talents. One of the most interesting things about them, is that a lot of times I didn't even see them taking pictures. They are so stealth about it and I think that is why they capture the moments that are so intimate and personal. They catch the moments I wanted to take mental pictures of and never forget and they do that without even interrupting the moment. In addition, they are so lovely to be around. I can't imagine the time and effort that Katja and Simon put into their work, we cannot express our gratitude in words. We would have to write a novel to do so. 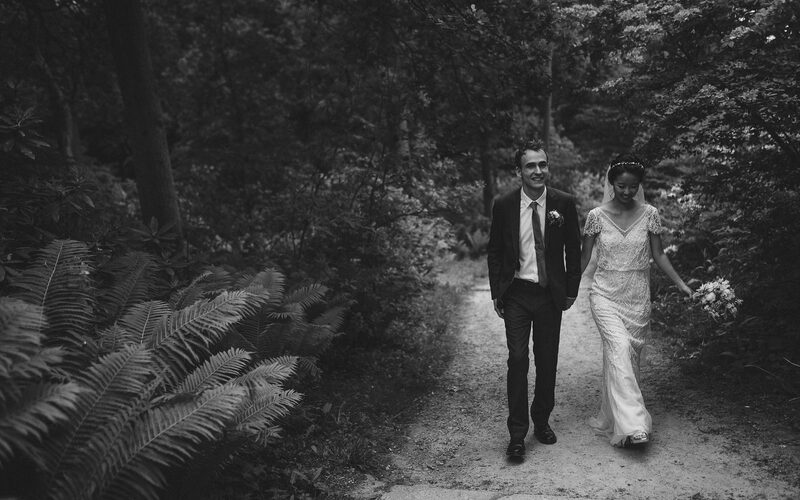 If you want the perfect photos and the perfect photographers, hire Katja and Simon! They will exceed your expectations while being the most enjoyable people to work with. I accidentally landed on their website one day while I was looking for a wedding photographer who can travel to Myanmar to shoot our wedding. We were captivated by their beautiful photographs. Their style was different from everyone that we were contacting and that we were used to. They captured our wedding in the most beautiful way possible. They made it look like a fairy tale. They not only captured all those beautiful memories but all emotions and love. When we look at our wedding all we see is how happy everyone is and that is only possible because of Katja and Simon. They are not only great photographers but, good people. Very accommodating, professional and friendly. I highly recommend them without any second thoughts because they will never disappoint you. It must have been destiny that lead us to find Katja and Simon, but it was their professionalism, talent and genuine friendliness that made our decision on choosing our wedding photographers extremely easy. Our wedding was beautiful but went by with the speed of light. When we first watched the slideshow of the photos, we both cried as it portrayed so many emotions and beautiful moments. Katja and Simon managed to recreate the day in such a beautiful way that we will forever be grateful. They understood our desires and made them happen better than we could ever have imagined. We would always recommend them. When we started organising our wedding, we didn't have as much time and energy as we would normally prefer due to specific requirements of our professional careers. So our friends took the slightest bit of charge and helped us by recommending Simon & Katja. From the moment we saw and liked their work, their youthful and fresh creativity, the unique ability to bring the fairytale out of every event, and also, when we got in touch with their easy going and reliable personal approach, we knew we had found the right people. Our wedding turned out a total success, it made all our hopes and dreams come true, but Simon & Katja played the most important role in capturing it's essence for all eternity. Therefore we are thankful and wish to recommend them further. We knew we wanted Katja and Simon to photograph our wedding ever since we had first seen their work online - even before we got engaged - because we simply loved their photography style and sense of aesthetics. We liked how they made they us feel comfortable and relaxed during the photo shoot. The photos they made reflect the atmosphere and emotions of the day perfectly. We could not have chosen a better team to capture our day and will be forever grateful to them for the beautiful memories they gave us! We really wanted someone who is able to capture the moment as it is, pure and simple, but in a unique way. Katja & Simon´s work represented everything we searched for. We instantly fell in love with their photography, but only after we got chance to meet them in person we were assured that hiring them was best decision we could made. Their kindness, professionalism, good energy and passion made photo shooting pure fun. Every emotion we felt that day, every tear and laughter can be seen in photos, as they are that good. Well beyond good…out of this world. We can´t thank them enough, and would recommend them anytime.